I love risotto. It is a comfort food to me. I eat it rarely but when I do it is a real treat. I have been converted to a baked risotto and will probably never go back. Although I do think a normal risotto is probably a bit tastier, a baked risotto saves a lot of work and turns the dish into one you can just bung into the oven. A handy thing when living with toddlers. -Cover tightly with foil and place in oven. This is baked for about 45 min to 1 hour. 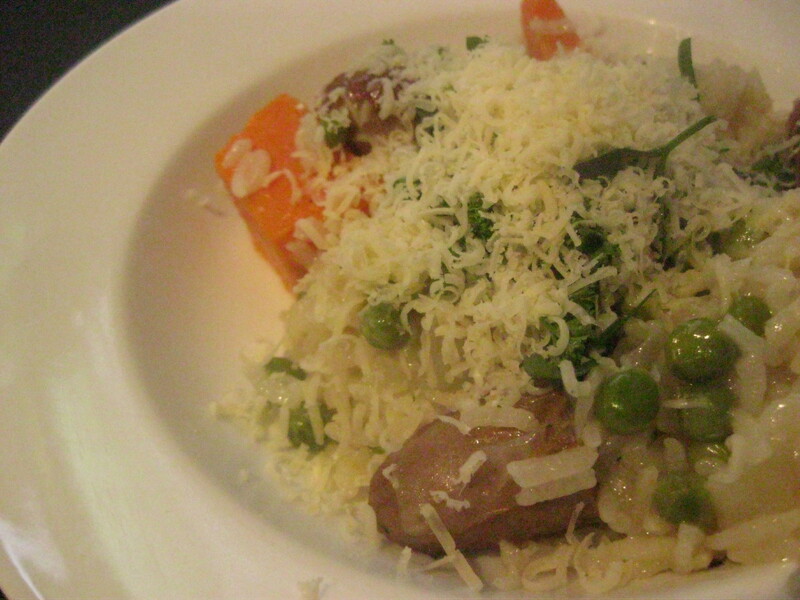 -After about half an hour check the risotto (mine is usually still full of liquid at this point) and add the peas and sausage. 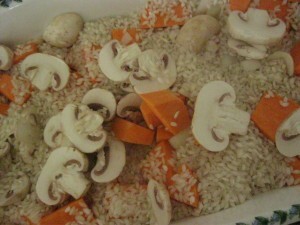 -After 45 mins to 1 hour (since initially placing in the oven), take the risotto out and check it is ready. 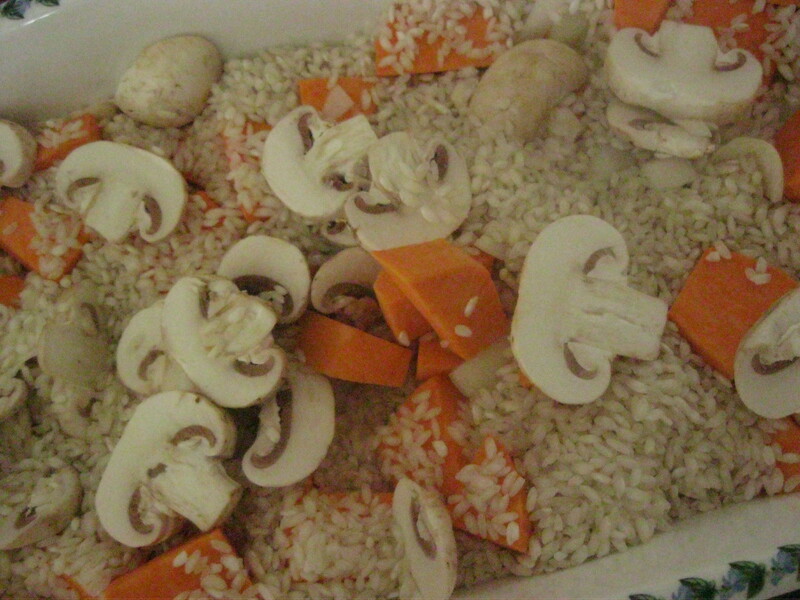 The rice should be cooked but not dry.